Hey people, how's it all going? 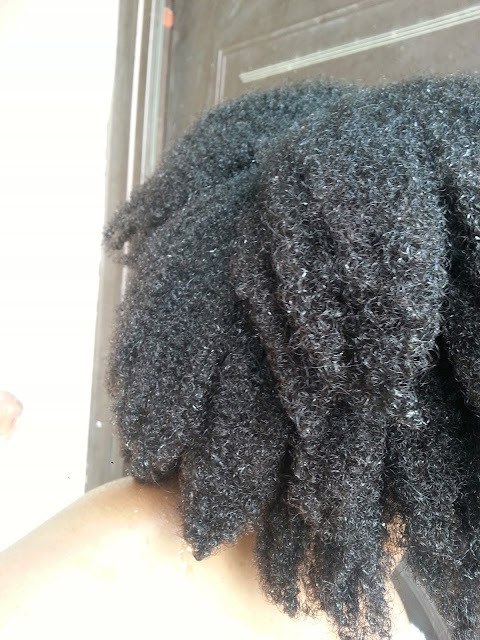 Wednesdays have been wash day for a while now and this is actually last week's wash day. 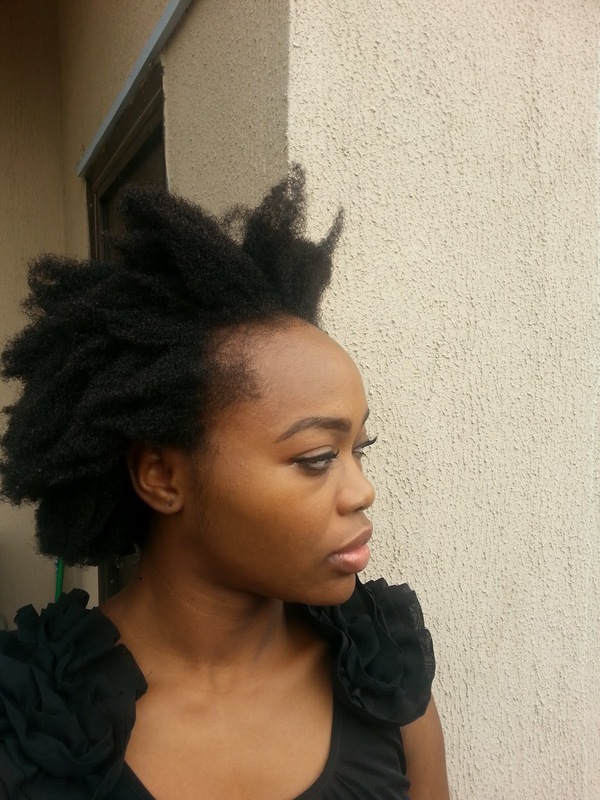 I haven't washed my hair this week because yesterday I moved to the barracks in Apapa. 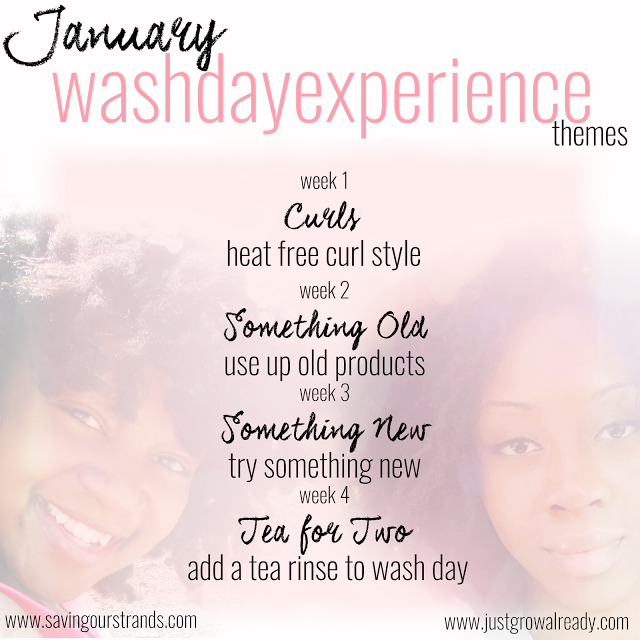 The Wash Day Experience this month is themed. Last week's theme was Something old, and this week: Something new. 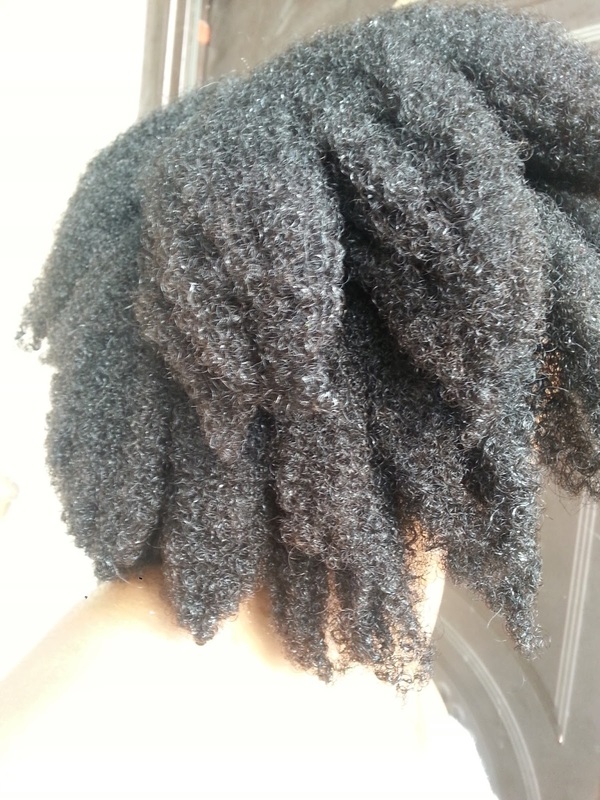 I realised I did both on my last wash day. I needed a protein treatment. It had been six weeks since my last but I had none of the key ingredients from that wonderful treatment. I remembered I had a bit of my sample size Aubrey's GPB conditioner left. It wasn't going to be enough for my whole head so I mixed what was left with mayonnaise and milk from the fridge, coconut oil, olive oil and honey. 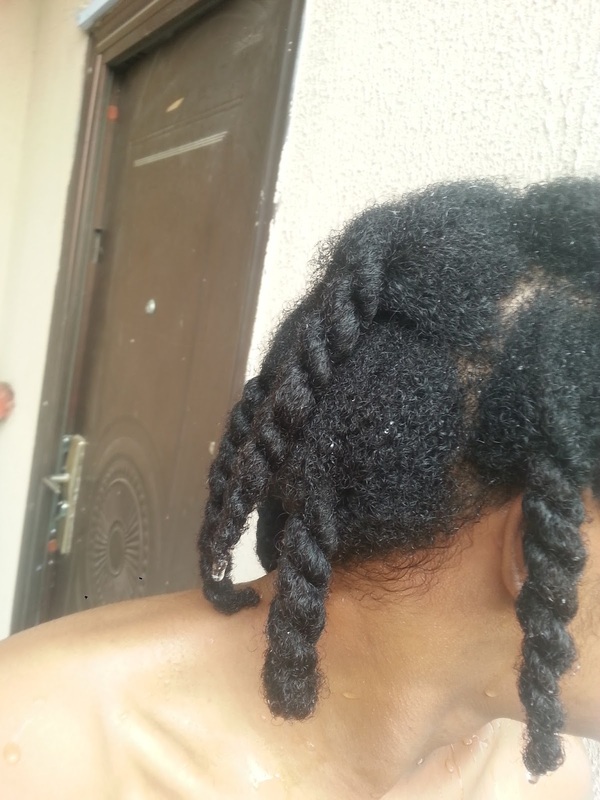 The scent of the conditioner overpowered the other stuff. Goody. I left it in overnight and rinsed out in the morning. 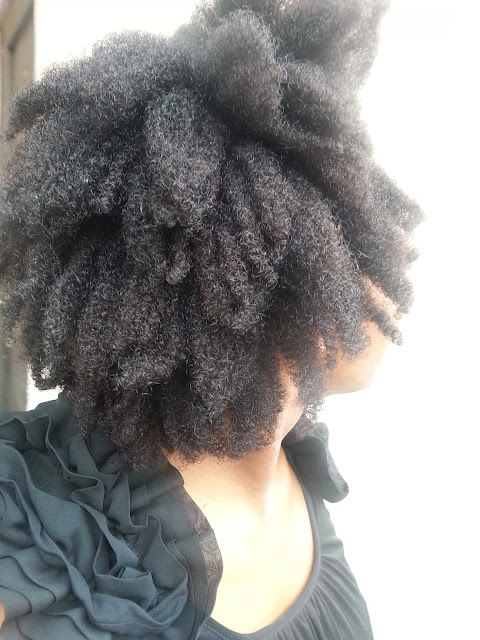 Cowashed with Shea Moisture Superfruit Complex 10-in-1 conditioner. 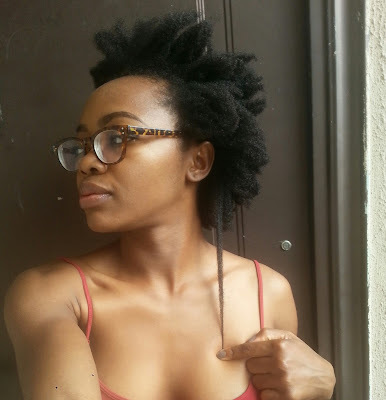 This was totally new: instead of stretching my hair, I wanted to see how it would look with little interference: at full shrinkage, no leave-in. Also wanted to see my curl pattern. Method: For my cowash, I put the Shea Moisture Superfruit conditioner into each section from scalp to ends, ran trough gently and then twisted the section. Covered with a shower cap for 5 minutes. I rubbed on my scalp to release any deposits, then rinsed with my twists intact. Squeezed out the excess water gently. 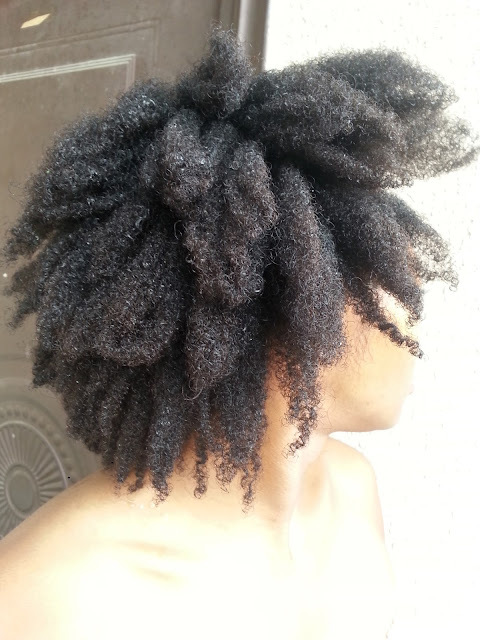 Took apart the twists gently with my hair still soaking wet. Then I shook my head side to side, up and down to encourage my curls to clump. 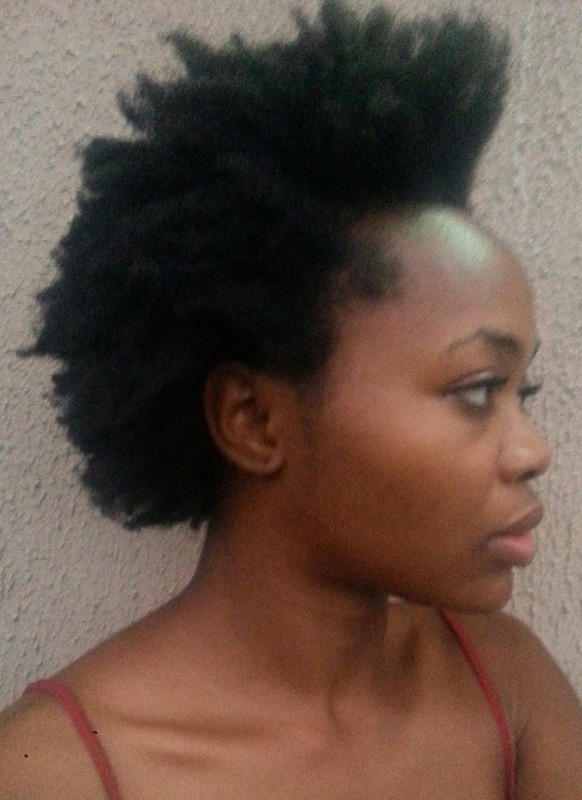 As my hair dried, it shrunk up and got fluffier. I'm sorry they're blurry but daylight was fading. 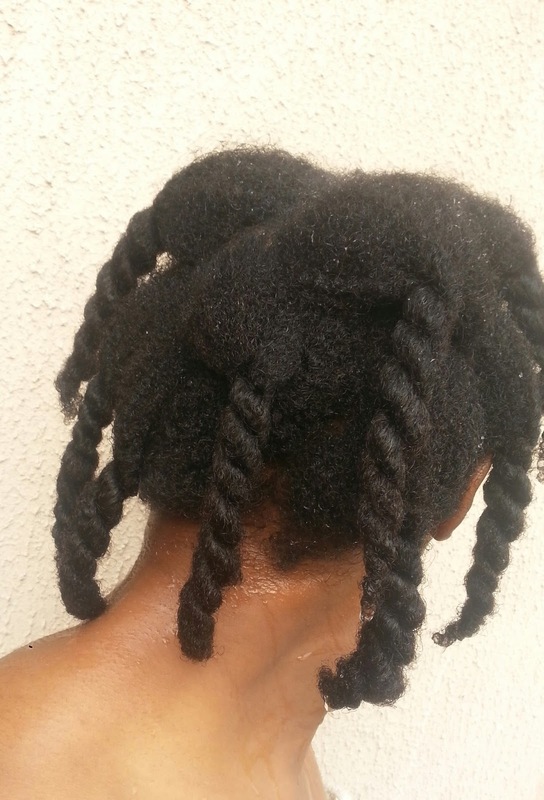 By night time, I moisturised with a spray bottle of water, sealed with my cocoa butter cream, and did two-strand twists. 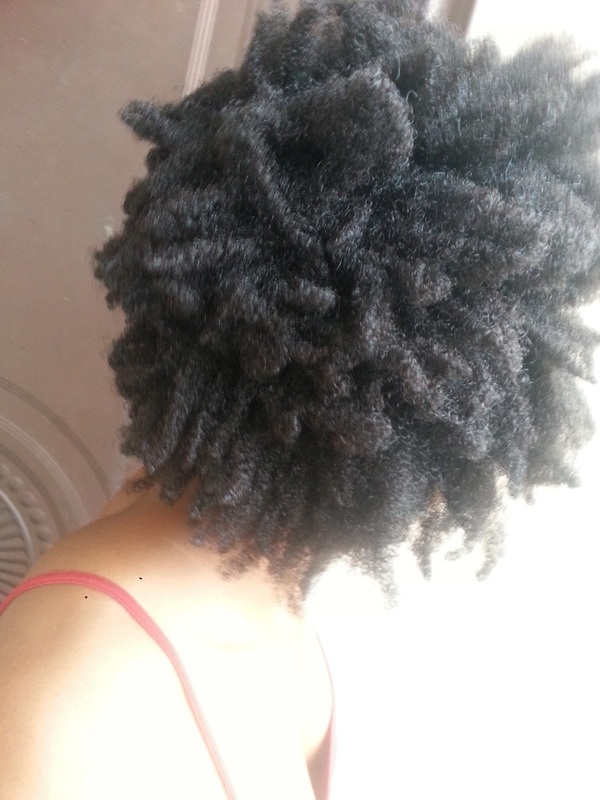 Wore them for five days and did a twistout just like this. 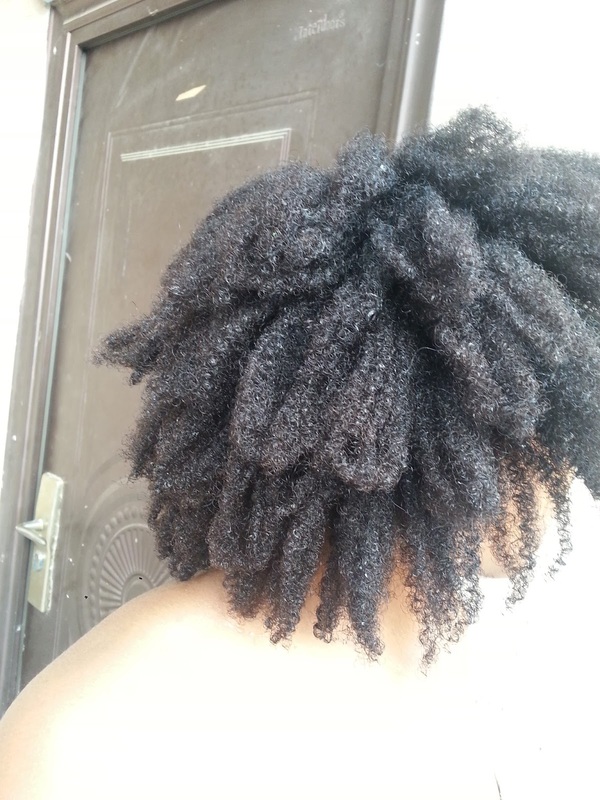 Currently on twist-out Day 3. Shakes head, shakes its again, puff curls!!! 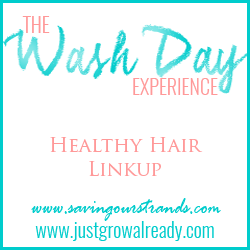 Great Wash Day! Happy settling in new place! I love your hair in all of it's shrunken glorious fluffiness! 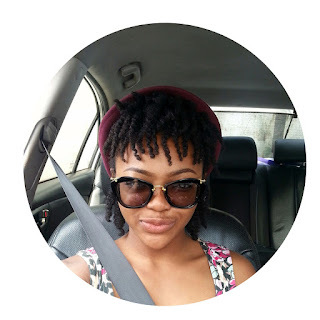 I'm in love with Aubrey GPB too! 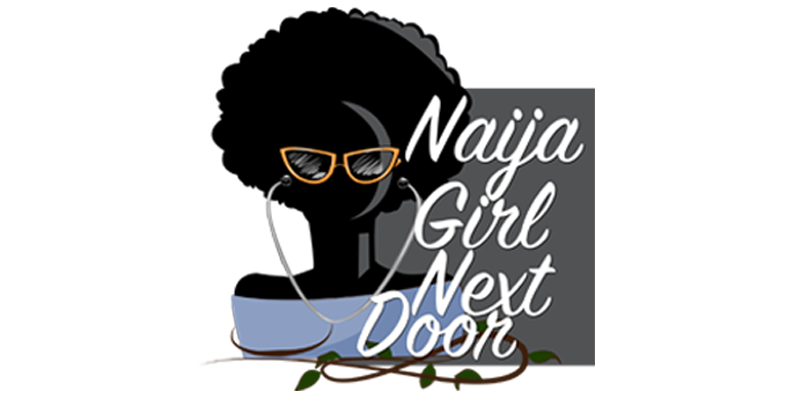 This week it was my "something new" and I'm sure that it's here to stay! Ah! 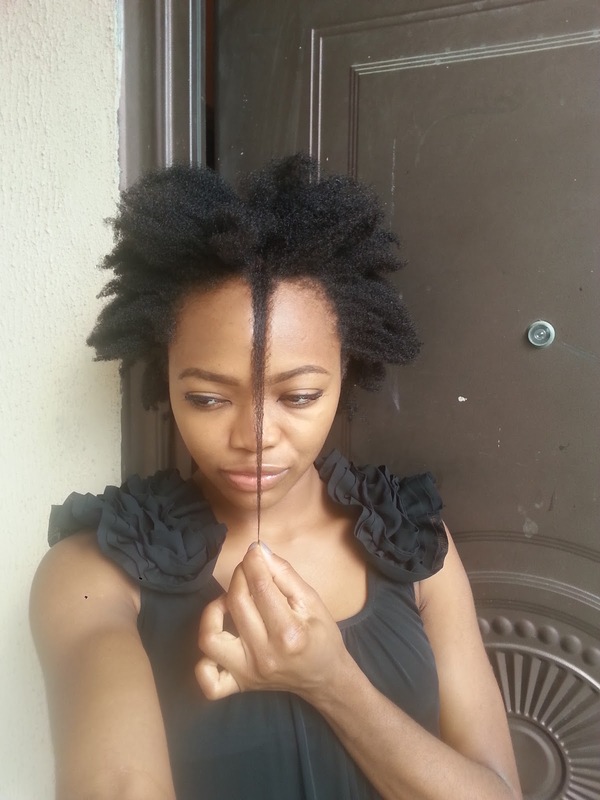 Shrinkage can be so deceptive. I like the chunky twists, so lush and thick. Well done! 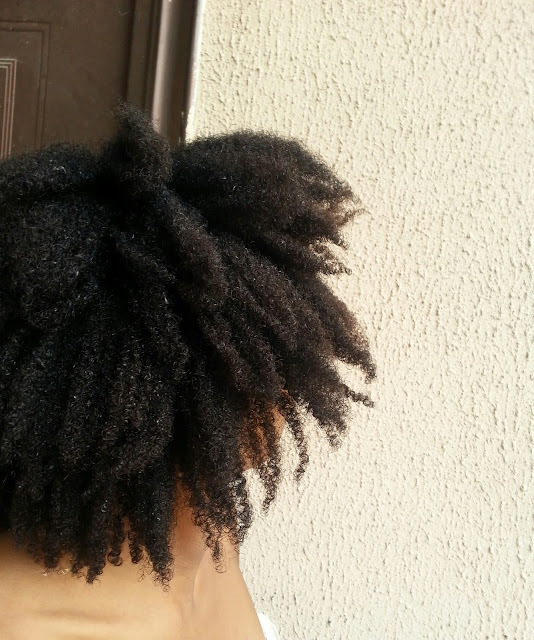 Shrinkage is a highly skilled Ninja Nedu. Kai. you have so much hair!! Shrinkage is a beast isn't it? Your hair is just like my daughter's. So dense and thick. She has it in weave right now but it's all natural and when she wears it out, she just does a puff typically. Your hair is really growing mehhnnn. 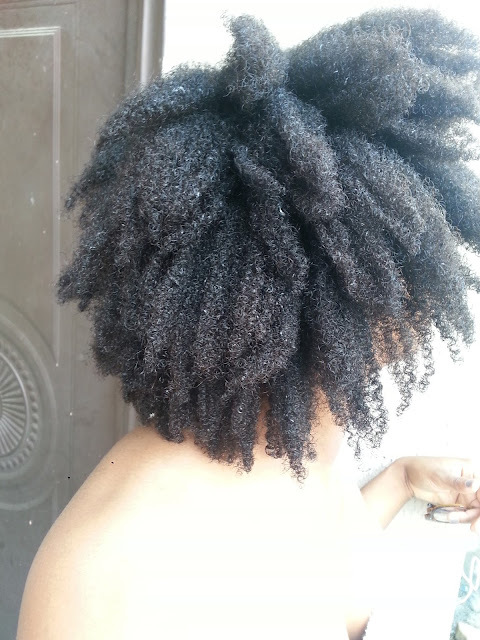 love your hair after shake 2!! 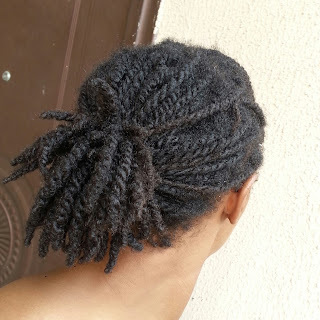 Loved the two strand twists! Too pretty!